Welcome to Brazil, the land of expensive shoes and a mainstream adoration of all footwear big and heavily driven by technology — not the exact substance regular footwear fans and readers of HYPEBEAST crave. Before stepping foot, I’d been given a heads up. Within a short period of stepping onto the tarmac at Guarulhos International Airport, I had spotted two specimens that confirmed earlier reports – two pairs of adidas Springblades that have come to enjoy a great following in Brazil. But why? Check any report pertaining to the growth rates and rapid developments in place and Brazil and India are two names that follow closely after China. While this was my first time in Brazil, I had been privy to what effect a growing economy had on the stylistic choices of its inhabitants. Just a short while ago (or even now if you go into second and third tier cities), the lust for bling and big logos was in full force in China. It became one of the main proponents of Mainland Chinese stereotypes globally and the reinforcement of the truism, “money can’t buy style.” An increasing amount of the Mainland Chinese population moved away from conspicuous consumption as a category to spend their newfound cash, instead electing to go the experiential route such as taking a trip to Europe (perhaps still buying a few Birkins along the way too) and visiting a vineyard. But for Brazil, they still remain a few years behind some of the other developing countries who still serve as case studies. 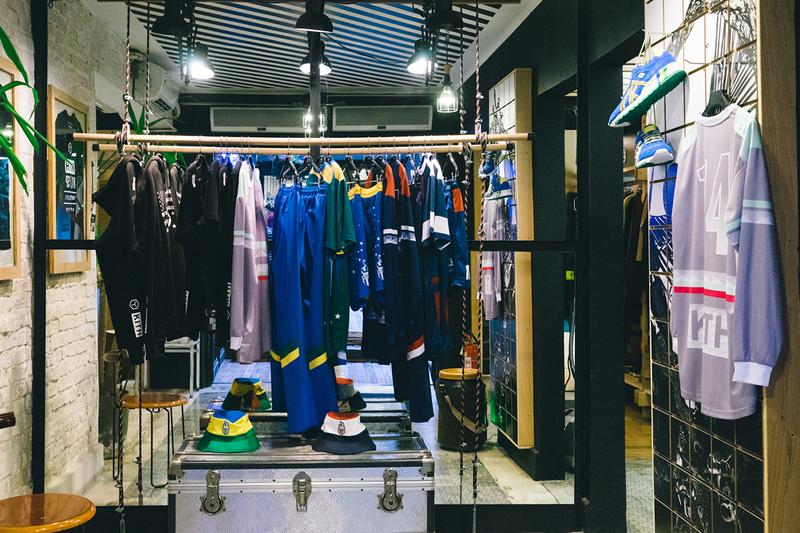 But unlike China, foreign sportswear brands have had the ability to come in and make a dent within Brazil which has influenced their relationship with sportswear brands. China (a country used on several occasions due to their similarities as superpowers in different stages of growth) had seen decades of sportswear that knew no Three Stripes or Swoosh, instead local brands held off the foreign charge for a reasonable amount of time, enabling the likes of Li-Ning to rake in some serious cash along the way. Brazil though has had a long and storied history with Nike, dating back to a massive sponsorship deal penned in 1995. It was then that Nike incepted arguably Brazil’s most important cultural institution, football. Two decades has enabled many to watch their valiant footballing heroes wear the Swoosh and largely dominate on a global stage, creating massive fan bases along the way. While having the largest sportswear company (and its subsequent interest in creating a lifestyle around the brand), there seems to be several interesting developments that need to be rectified before Brazil fulfills its potential and grow into its newfound role as one of the most exciting places for fashion in the world. Over an afternoon lunch, we met with Ricardo Nunes (founder of SneakersBR) and Cristian Resende (founder of multifaceted space Cartel 011 and sneaker shop CZO) who have been pioneers in developing Brazil’s streetwear and footwear culture. Each of the two founders have had the luxury of their own footwear collaborations as well as creating respectable platforms that have represented both the online world (with Nunes and his media platform SneakersBR) as well as offline (with Resende’s agency, retail shop and restaurant). Both had passionate stories to tell that involved the culture they’ve helped build and create. 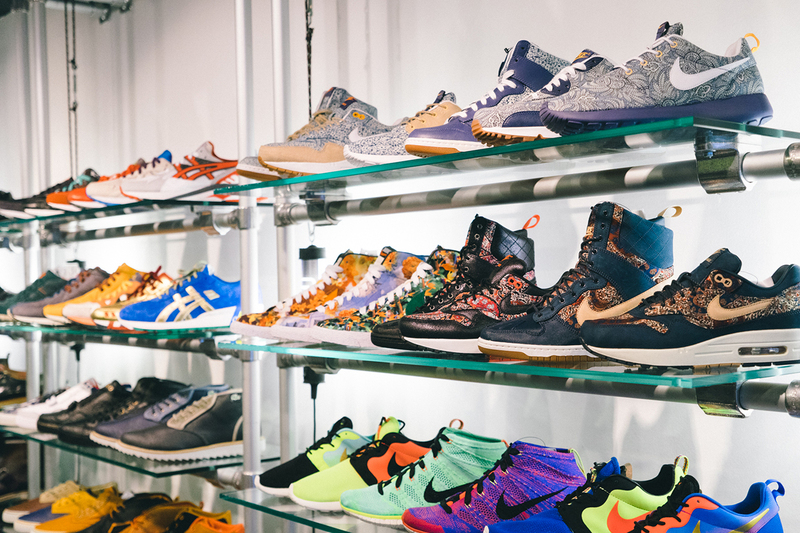 The Brazilian footwear scene doesn’t have a great deal of choice. Casual observations would point to mostly Nike, adidas and Mizuno (largely due to the Brazilian-Japanese relationship that dates back approximately 100 years) offerings. To bring product into the country is something that requires experience to navigate the process which is both complex and protectionist towards local product. Speaking with Cartel 011’s Cristian Resende, he mentioned some great brands with good prices that would inevitably be classified as high fashion based on pricing including the likes of Carhartt and Wood Wood. Within Brazil, everything is quite new and for them there’s a lot of unfamiliarity with what is widely adopted in other developed markets. Platforms like SneakersBR are the first wave of relevant media platforms that hope to complement and offer a further perspective on fashion and culture next to the regional titles such as Vogue, Elle and GQ. Despite a generation that are very much into sneakers and can read English, there are a new wave of young Brazilians that are not as connected to English-speaking markets but are just as interested and open to consuming information. For a part of the market, they may not know the difference between the Air Force 1 and an Air Max 1 and there just aren’t enough platforms in Portuguese to educate them. The Nike Flyknit Air Max retails for R$1,000 BRL (available also in 10 monthly installments) in Brazil or approximately $417 USD. The same shoe retails for $225 USD in the United States. Brazil is in a period of transition where wealth’s effects are best shown with a big watch, big car and well, big shoes. A quick look around the popular shopping area Rua Oscar Freire unveils a relatively high per capita showing of mechanical and “visible tech” (or vis-tech as they market it) footwear. And luckily for Brazilians, each of these respective sports brands have their fair share of mechanical cushioning technology that fits the bill quite nicely exuding functionality and of course high value. This means adidas’ Springblade (and previous Bounce technology), Mizuno’s Wave, Nike Air Max 360s and Nike Shoxs (Shox you say?) are all seen in regularity. Yes, the shoe perhaps best known for the day’s of Vince Carter and the “boing” retail shelving has been a piece of Nike’s sales puzzle in Brazil. Some might have wondered why the World Cup-inspired lifestyle offerings from Nike had resurrected the once fabled NZ and put it into the HYPEBEAST world of footwear… well there’s your answer. There is a growing demographic of Brazilians quite happy to spend upwards of $400 USD or more on a pair of new sneakers. It must be said that half a grand isn’t from your local reseller, but rather the retail price at an official dealer. Blame it on the import tax. It’s often cheaper to buy from abroad at their prices, pay the shipping, and incur the subsequent import tax off those retail prices than buy down the street. This has seemingly been a necessary hoop to jump through if you want to participate in the sneaker game. 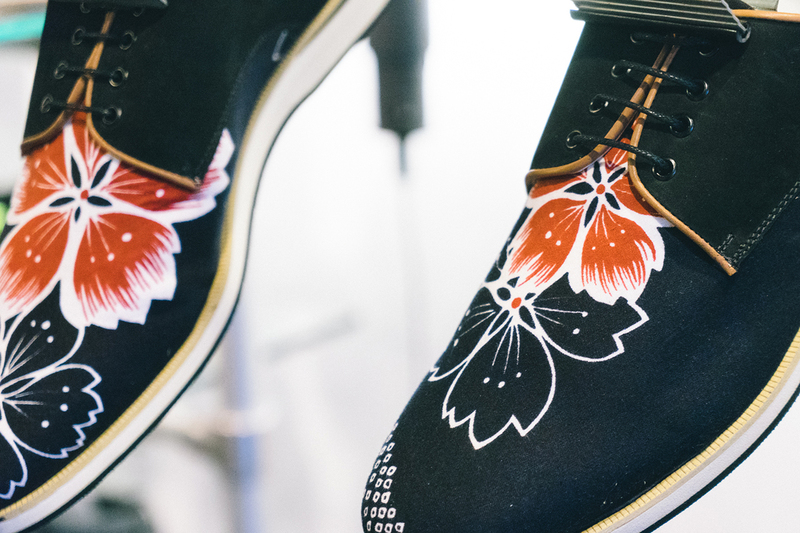 To help alleviate some of the issues associated with something many of us take for granted, footwear can often be treated much like a house or car — with installment plans. It’s a common occurrence to see anything from paying for your sneakers in either two months or upwards of 12 months to soften that blow to the wallet. Brazilian interest in football is legendary. However wearing a football kit isn’t considered stylish on the day-to-day. Big brands such as Nike and adidas have tried to build inroads with Nike arguably taking the upper hand through the creation of Nike FC and the White Label collection, whose R$1,200 BRL (approximately $500 USD) jackest flew off the shelves in a matter of days with a focus on understated style rather than in-your-face athletic details and branding. Football and skateboarding are two important pillars of sport in Brazil. But combining the two — just as it is in other parts of the world — don’t often yield desirable results. Upon recent releases of the Nike SB and the Brazilian Football Confederation ahead of the World Cup, there wasn’t an overwhelming level of interest as it’s assumed these two worlds should remain separate. The Tiempo ‘94 has been one of Nike’s largest pushes in recent memory regarding football and lifestyle. The model had authentic roots that dated back to its positioning as one of Nike’s most celebrated football silhouettes. However when it first landed in Brazil, it wasn’t welcomed with open arms due to an interesting association with young teens and children. Often in Brazil, children try to emulate their heroes on the pitch, resulting in many wearing take-down, flat-soled versions often seen on the feet of kids. While the shoes are a good option for parents and kids due to their ability to take a beating, for others they were simply too close to home as those looking at the Tiempo ‘94 from a fashion perspective shied away from the model. Brazil’s massive coastline and deep connection with surfing means there’s been quite the surf fashion market carved out. However, previous years of misaligned business decisions focused on numbers and not quality and design have dug the market into a hole. The rest of the world has embraced a more lifestyle surf approach that lacks the refinement that many brands now embrace who continue to chase the dollar. One of the notable changes was how Nike SB’s initial offerings were seen predominantly in surf shops. Now virtually all Nike SB accounts have been repositioned into skate shops which have been enjoying success, while surf shops have failed to grow.